I spun my first yarn using the Random Yarn Generator idea from KayBee in the Novelty and Art Yarn Group. She created a list of colors and techniques, which are randomly drawn from and then used to create your yarn. I'm new at these techniques and it was so inspiring searching through the threads for pictures of different techniques for reference so I could 'get to spinning' using some of these wonderful techniques myself. You should pop over there and check out all the goodies, I hope with practice that I will be able to do half as well as these talented spinners! I made felted millefiori dangles strung onto sparkly yarn for my trapped objects, that project itself was quite fun, I love felting! It's sort of like painting, once I get a brush in my hand, I start looking around for what else "needs" paint, same thing with felting...hummm, what else can I felt together...this might look interesting! Using the Random Yarn Generator was so fun and it's a great way to learn new techniques and also spin colors you might not normally use. In this instance yellow isn't a color I would normally include, but I dyed up some alpaca in a soft sun-shinny yellow and when I blended with the other soft colors, it came out looking like spring time! Who couldn't use a little spring right about now? I know I could! 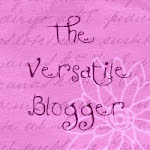 I'm having fun thinking about what I will knit with my growing stash of art yarns...ahhh, yarn. 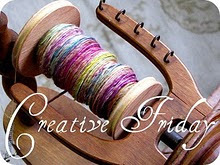 If you're on Ravelry, the Art Yarn group is definitely worth checking out, take a peek around, it might encourage you to start spinning too, (if you don't already) I noticed that many of the spinners over there have their yarns for sale in their etsy shops, in case you'd rather get your art yarn fix that way. I've been having some fun with yarn play this week! I love all the art yarns I have seen and I want to learn to do this myself, so I thought I may as well dig in and start experimenting. I'm working with a neutral palette for this project. This is the fiber grab bag that I used to spin my first art yarn. I have some natural brown alpaca from my friend Kim, this fiber is from Sequoia. I couldn't leave out angora, I used a natural cream colored fiber from my friend Jan, this fiber is from Baby. The roving is natural colored Romney with tussah silk and kid mohair. Then, for a little pop, I added the Mix-ins which consisted of commercial yarns and ribbons. I spun one single with the various fibers and mix-ins, the other single is the remaining alpaca fiber from Sequoia. Here is the hank of the two singles plied, this picture makes it look quite a bit lighter than it is, it's actually presents as light brown or sort of a heathered brown very much like brown rag wool. I'm excited to begin knitting with this yarn, it will be interesting to see how the mix-ins show up in the knitted garment. Next I took some of the remaining alpaca single and plied it with a metallic thread I had beaded using mixed beads of champagne and crystal color, the thread is an opal iridescent color. This is about 16 yards, I wanted to make sure that I had the proper technique before I made a lot of this, as it is quite time consuming. Once I find that it's a go, I will make some more, I love beads! I also did a bit more core wrapping, using a commercial yarn over a handspun alpaca single. I tried it both ways, using the commercial as the core and then the alpaca, the outer yarn definitely looks better if it's thicker, so I spun the rest using the commercial yarn on the outside. I love how fluffy it looks, it will be fun to knit with! I'm excited to play with some more ideas for this project, I just love spinning! Boy oh boy, has this project been an adventure. You wouldn't think a simple scarf would take so many twists and turns. Originally I had been planning to use a different fiber from my stash, the silvery llama mohair blend. That was not to be, the fiber had a lot of short hair in the blend and while my sample spin worked out fine, the yarn I made from this shed quite a bit. Even after I washed it several times, the yarn kept shedding and shedding and shedding! I was not about to give that mess as a gift! So I started from scratch and spun some more of my hand dyed. This time using alpaca I had dyed in a nice variegated blue which I call stone washed denim because of the light and dark variations. With the fiber all spun and plied, I was able to start knitting. I had thought to do a simple ribbed pattern, nice for scrunching up around a persons neck without being too bulky. To begin a project I like to incorporate symbolism in my work, I cast on 38 stitches, my nephew will be 38 this year, and since he is going on a big adventure, I thought it would be good to incorporate that into the scarf. I started with a K2, P2 ribbing. Then randomly I worked a purl row followed by a knit row, this creates a lucky bamboo design for prosperity. Then there is the color of the yarn,the deep blue of a bright sunny sky along with fluffy white clouds, because after all, the sky's the limit! Surrounded by the loving prayers of his family and with traveling angels all around him, I know Chris will have a wonderful time as he goes off to live in Ireland for a few months. I have a really great feeling about this year! Special things are happening, I can practically feel the new garden getting ready to spring forth. Little seeds are growing! I wish you all the goodness of the new year, happy 2010!